A solar inverter, or photovoltaic (PV) inverter, converts the collected energy that can be fed into a commercial electrical grid or used by a local, off-grid electrical network. 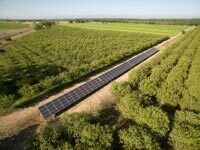 Urban Design Solar installs both grid-tie and off-grid electrical networking solar energy systems. 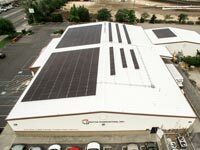 SolarEdge began commercial shipments in 2010, and is known for revolutionizing the way solar power is harvested in the solar arrays. SolarEdge’s highly effective direct current (DC) inverters maximize power generating at the PV module level. Urban Design Solar installs SolarEdge Single Phase inverters with HD-Wave Technology.